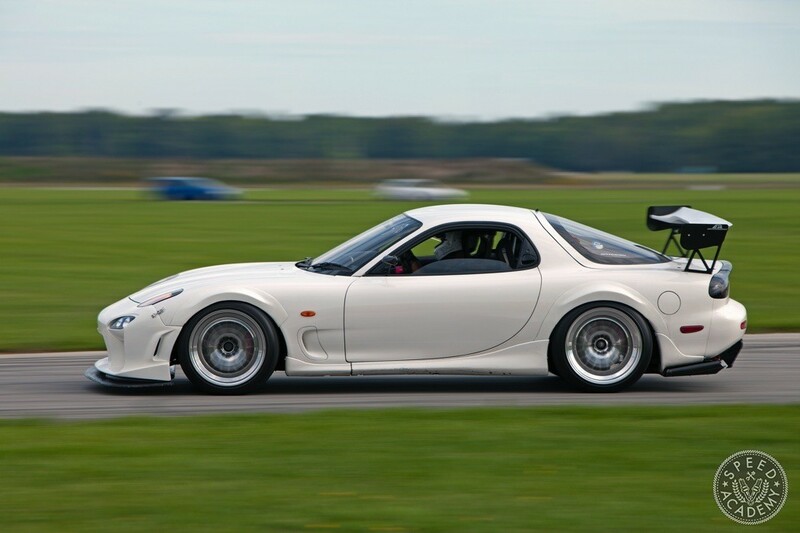 The third generation Mazda RX-7, designated the FD chassis, is one of the most iconic sports cars ever to come out of Japan. Its sleek and timeless design and excellent weight distribution coupled with the venerable 1.3L RE (rotary engine) has made it a favorite among circuit racers as well as other racing disciplines. I was no exception, when it came time to choose a “grown up” platform to race, it was an easy decision. 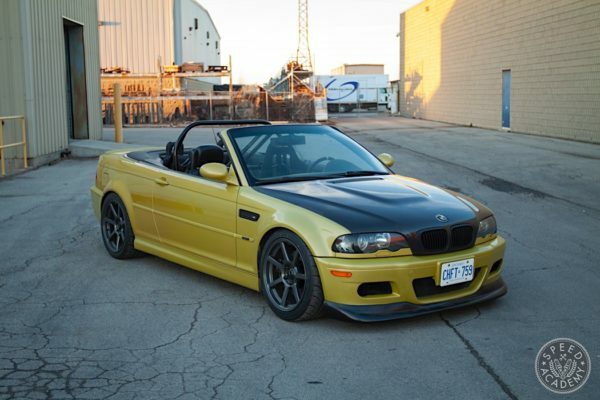 I campaigned the car in its stock sequential turbo configuration with no boost increases and was able to end the 2012 Canadian Sport Compact Series Street RWD class as overall Street Rear wheel drive champion. 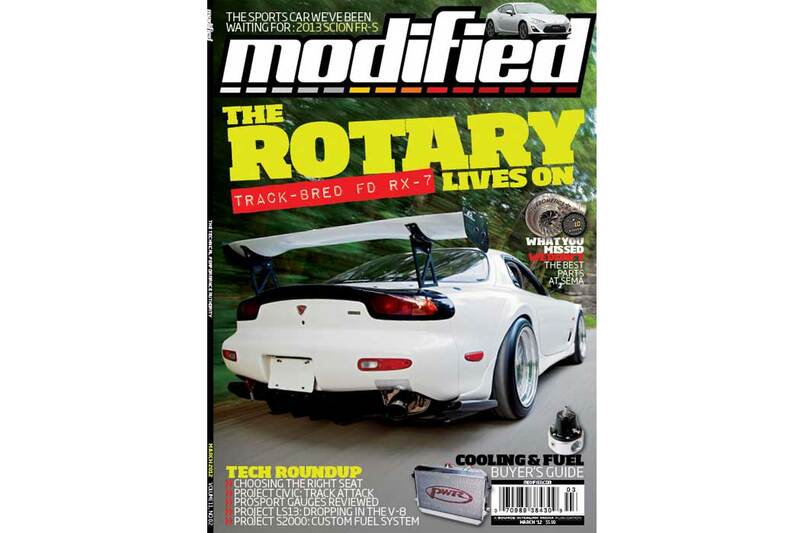 The car may look familiar to some of you; it previously graced the cover of Modified and was adopted as a project car. During that time the car underwent major modifications. The tired motor was torn down and rebuilt from the ground up. 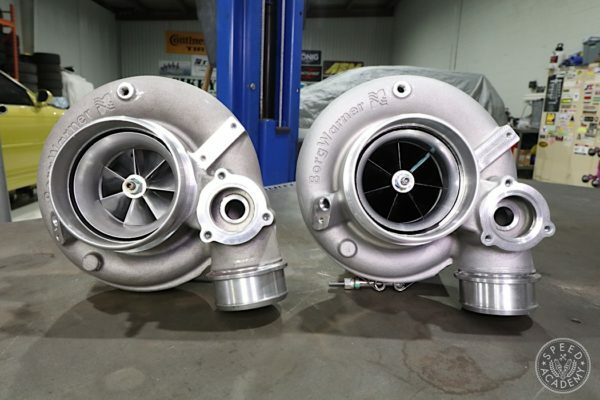 The housings were sent to Goopy Performance and received surface refinishing. 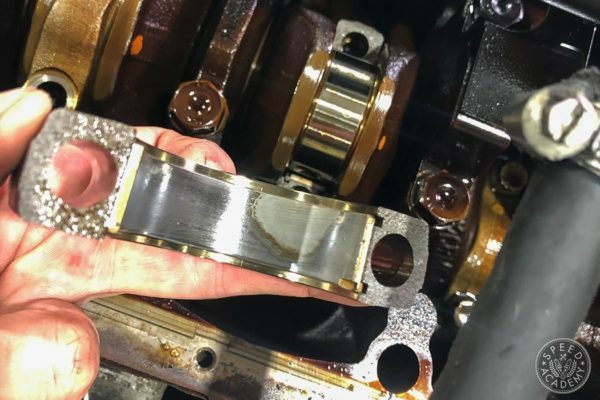 We used Goopy 2mm 2-piece apex seals, Mazdaspeed Competition rotor bearings , Mazda side seals, rebuild gaskets and oil control rings to completed the short block. The rotating assembly was also balanced to ensure harmony during sustained high rpms. 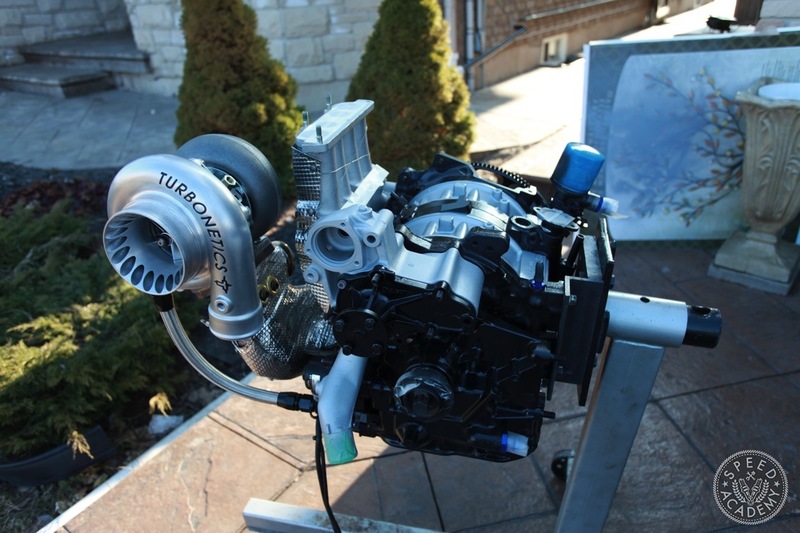 A Turbonetics GTK-700 turbo and Full-Race twin scroll manifold added a significant increase in compressed air charge, CJ Motorsports fuel system and Injector Dynamics injectors sprayed the fuel and AEM Smart coils provided the spark that ignited the mixture. 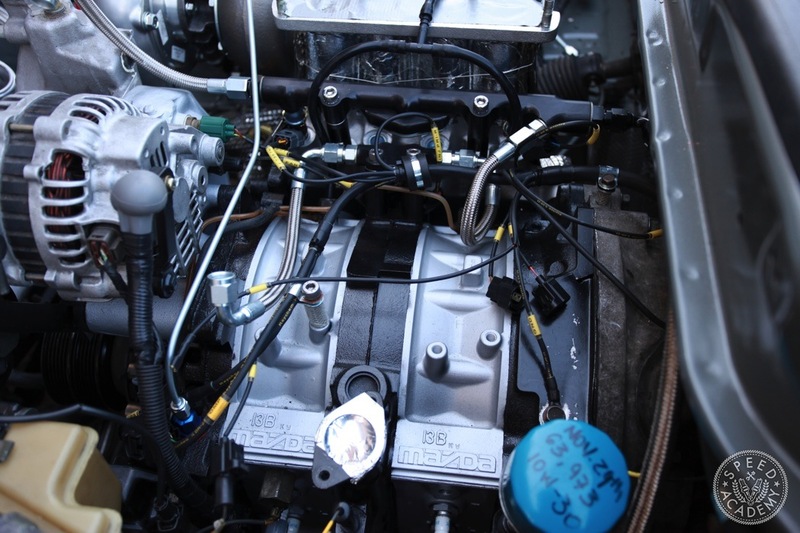 Dual Earls Performance oil coolers and Mocal thermostat kept oil temperatures in check. Some say overkill, but rotaries run notoriously hot and this was insurance. That is pretty much where we had left off before the Magazine went south. Converting to a single turbo setup meant we now had twin turbo controls and vacuum solenoids that were no longer needed. Instead of simplifying the old and cracked engine harness, we got in touch with Ryan Basseri of Rywire fame to make us a fresh engine harness. 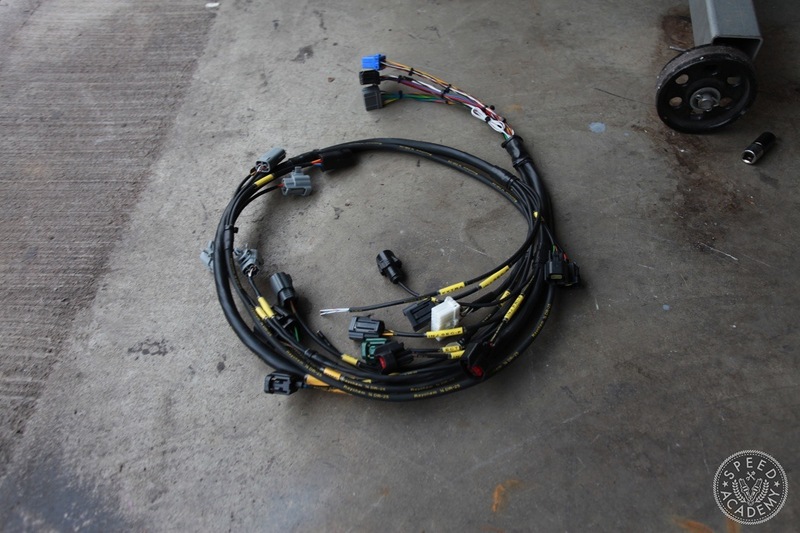 The entire wiring harness is wrapped with Raychem DR-25 sleeves that provide abrasion and moisture protection. New connectors made installation easy, not to mention giving a very tidy, professional look to our bay. 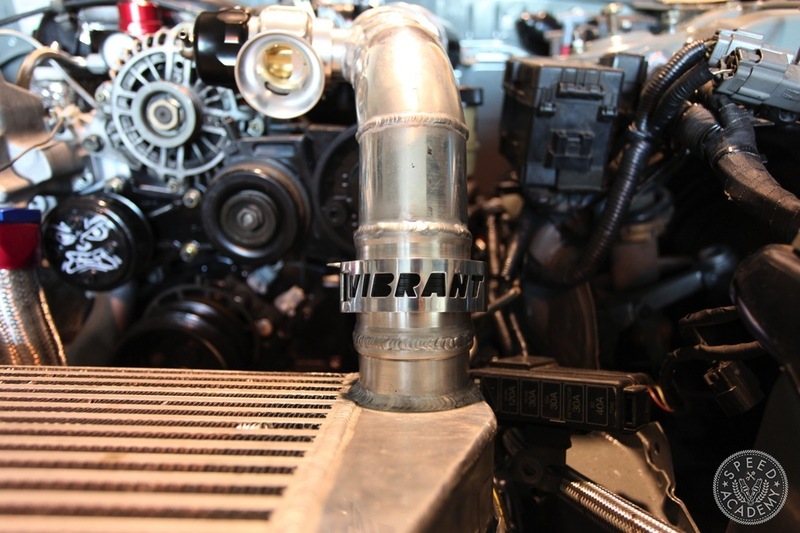 Our friends at Vibrant Performance helped us out on a plethoara of intake and exhaust components. For the intake system, I chose Vanjen clamps over the usual silicone coupler/clamp combination. Having seen and experienced couplers blowing/slipping off piping connections at the track, I wanted more secure and reliable connections. The Vanjen Clamp is made up of 2 weld-on sections with O-rings, a metal sleeve to contain the joint, and finally a slip on clamp with a securing pin that holds everything in place. 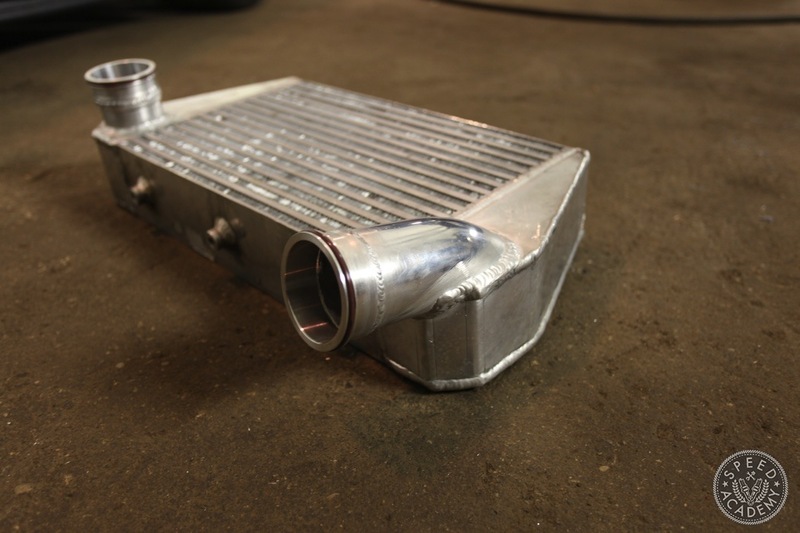 We modified our existing intercooler core inlet by fabricating a more to make a short direct inlet elbow from the turbo to the intercooler. One of the Vanjen flange was also welded to the inlet elbow. The corresponding flange was welded onto the turbine housing to complete the connection with the intercooler. 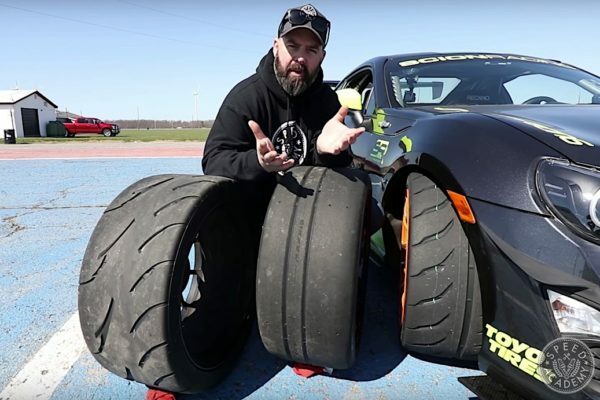 4 Comments on "Project Rotary Race Mule Introduction"
I love those wheels! When they came out many years ago I lusted over a set and to this day still want em!